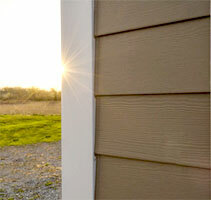 Installed on more than 8 million homes, James Hardie® is North America’s #1 brand of siding. Decades of producing beautiful and innovative products have earned us the loyalty of homeowners and the endorsement of trade professionals like you. We offer products that enhance your reputation and resources that expand your business. In a field crowded with competitors, differentiation is key. By aligning your company with North America’s number one fiber cement siding brand, you will have access to business planning, sales and marketing tools, and continuing education. The James Hardie Contractor Alliance™ program can be your greatest ally in business growth. Our extensive range of products provide the reliability and aesthetics you need to create a distinctive look for apartments, condos, senior living, commercial real estate and single-family homes. We can help you create welcoming places that attract buyers. James Hardie is proud of our excellent reputation among architects. Our equal commitment to beautiful design, superior performance and sustainability means that we don’t take any shortcuts. Find out how our products can enhance your projects. 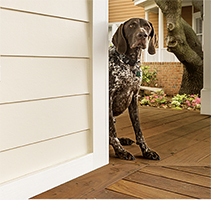 By carrying James Hardie siding and trim products, you are offering your customers the number one fiber cement siding brand in North America, used on millions of homes. Our extensive distribution networks and innovative marketing tools will help you increase sales. When your business relies on materials that will satisfy your clients over the long run, you need a brand you can trust. Differentiate your homes by adding value with siding and trim from James Hardie, and provide you customers with the lower maintenance exterior that only 100% HARDIE™ offers.